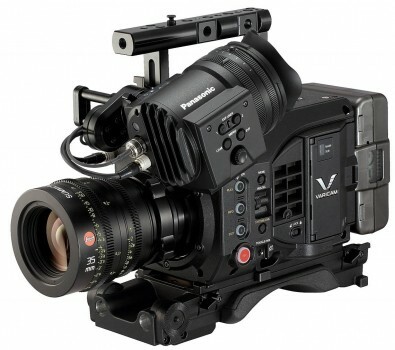 Panasonic releases a new lightweight VariCam camcorder. Panasonic has debuted the VariCam LT 4K cinema camera. The VariCam LT camcorder uses the same super 35mm sensor as the VariCam 35, but with significant reductions in size, weight and price. Panasonic’s latest VariCam LT, model AU-V35LT1G, weighs in just under six pounds, nearly half that of the Varicam 35 camera module, making it eminently suited to handheld, SteadiCam, jib, crane, drone, gimbal and overall cinema verité work. The VariCam LT is likewise tailor-made for owner/operators, independent filmmakers, documentary makers and corporate production creators. In order to maintain the VariCam ‘look’, the VariCam LT is equipped with a 35mm single-chip MOS sensor, originally developed for the VariCam 35 and has a similarly wide dynamic range. The VariCam LT achieves over 14 stops of dynamic range using V-Log, and features dual native ISOs of 800/5000. The VariCam LT delivers multiple formats including 4K (4096 x 2160), UHD (3840 x 2160), 2K and HD, and like the VariCam 35, is fully capable of HDR field capture. The new 4K camcorder offers Apple ProRes 4444 (up to 30p) and ProRes 422 HQ (up to 60P) support for HD recording, as well as Panasonic’s AVC-ULTRA family of advanced video codecs. The lens mount can be changed from an EF mount (standard) to a PL mount (optional), increasing the range of usable lenses. The camera ships from March 2016.